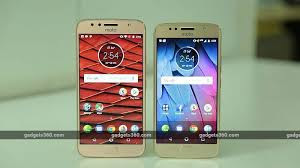 Amazon India on Monday kicked off the Motorola 45th Anniversary sale to offer some of the popular Moto series Android handsets at discounted prices. The list of models that have received discounts includes the Moto G5, Moto G5S, Moto G5 Plus, Moto G5s Plus, and Moto Z2 Play. There are also various exchange offers and EMI options in the sale, which will run until April 11. It was in 1973 that the company demonstrated the first handheld portable telephone, but it was a decade later the first commercially available mobile phone - Motorola DynaTAC 8000x - became available. Among other models on discount on Amazon, the Moto G5 is available at Rs. 8,420 (MRP Rs. 11,999). This is slightly lower than what Lenovo brand Moto discounted previously. The Moto G5 Plus, on the other hand, is available under the Amazon sale at Rs. 9,990 (MRP Rs. 15,999). Customers buying the Moto G5S 32GB variant can also avail a straight discount of Rs. 4,000 and pick their option at Rs. 9,999, down from the launch price of Rs. 13,999. Likewise, the Moto G5S Plus is available at Rs. 14,499 (MRP Rs. 16,999). In case if you're not looking for a Moto G series handset, the Amazon sale has included the Moto Z2 Play at a price of Rs. 20,999, down from its launch price of Rs. 27,999. Alongside the discounted prices, Amazon has listed the Moto smartphones with exchange offers to give you up to Rs. 12,398 of discount in exchange for your old handset. 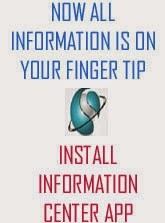 You can also avail EMI options from Axis Bank, Citibank, HDFC Bank, ICICI Bank, IndusInd Bank, Kotak Mahindra Bank, RBL Bank, SBI Card, Standard Chartered Bank, and Yes Bank. Last month, Motorola launched the three-day Moto Fest sale to offer discounts on the Moto E4 Plus, Moto X4, Moto G5S Plus, and the Moto Z2 Play. That sale was hosted via Moto Hubs and Flipkart.